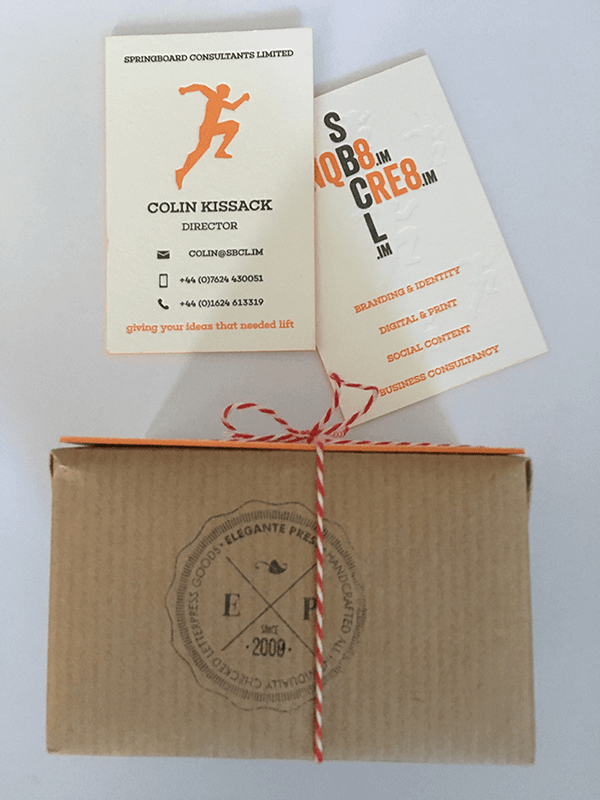 Design: In house – strong black, white and orange with the “Leaping Man” debossed into the front and rear to convey “Giving your ideas that needed lift” tagline. Quick links to the company’s URL on the reverse. Printing: Letterpress cards with painted edges on high quality stock, produced by Elegante Press of Lithuania.